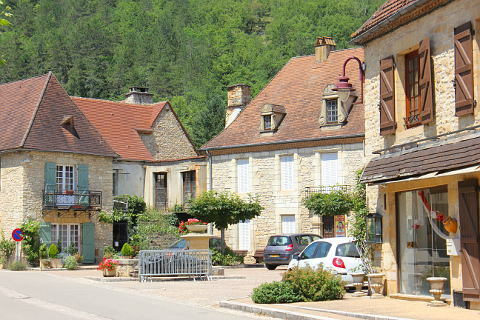 Daglan is a very attractive medieval town situated on the tranquil Ceou Valley. 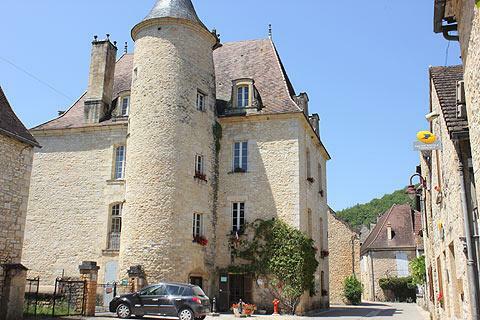 It makes an excellent base for exploring the busy part of the Dordogne valley around Domme and Sarlat whilst staying somewhere relatively quiet and peaceful. 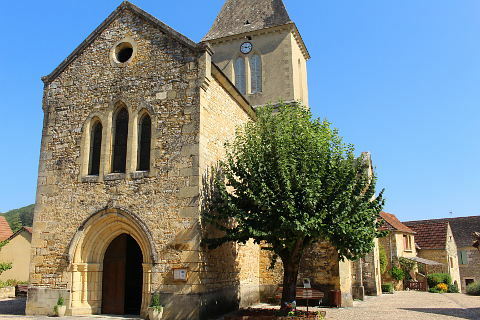 Daglan grew and developed in the 14th century when it was one of the key parishes linked to the diocese of Sarlat. 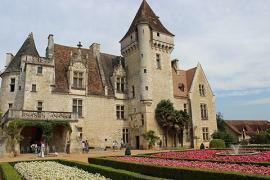 However by the end of the Hundred Years War it was virtually deserted. 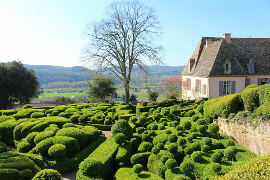 It then had a renaissance in the fifteenth century and became wealthy as a result of its vineyards. Calamity struck in the 19th century when the phylloxera epidemic struck the vines. Another exodus began. 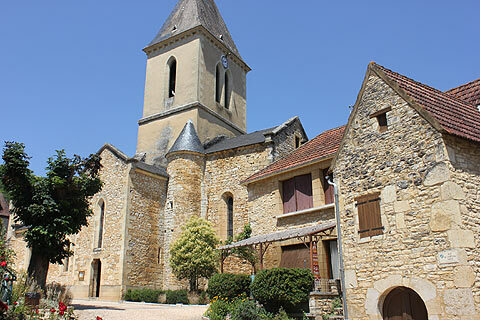 Luckily for us the wealthy period from the 15th to the 18th century when vines and the 10 mills in the parish of Daglan contributed to prosperity led to the building of many beautiful buildings which can still be admired today. 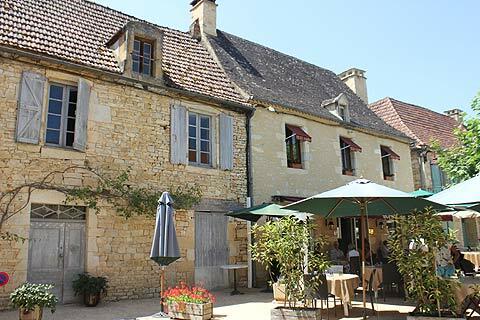 Particularly attractive are the Marie with its tall round turret and the 14th century church of Saint Martin with its simply decorated stone doorway.. 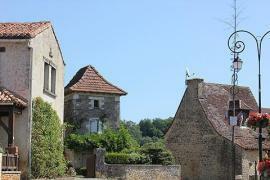 There are also a number of 15-18th century mansions as well as mills, bread ovens and pigeonniers to admire. Daglan is also famous for its round huts with dry stone walls. 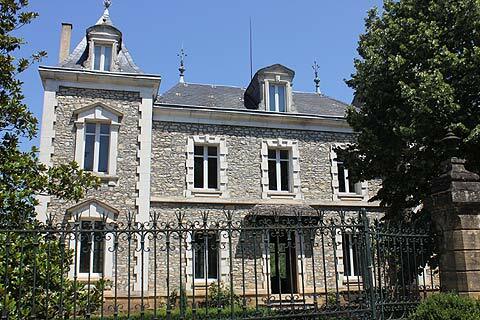 In the centre of the town you can visit the Maison de la Pierre Seche where you can learn about these dry stone buildings. 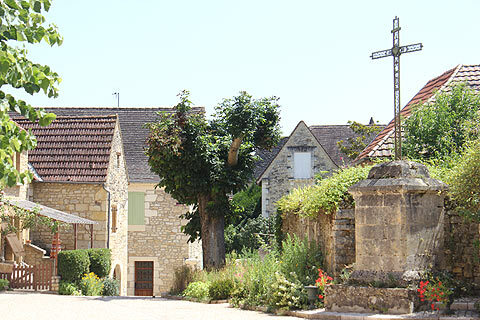 In July and August every Thursday morning you can set off on a free 6km guided walk taking in a number of these stone shelters in the surrounding countryside. 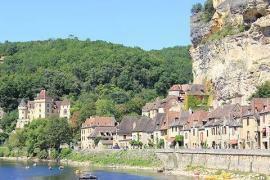 Alternatively if the weather is good you will be able to find a nice bathing and picnic spot on the peaceful river Céou. Market day in Daglan is a Sunday morning. This is a good time to visit as the village is more animated on market days. 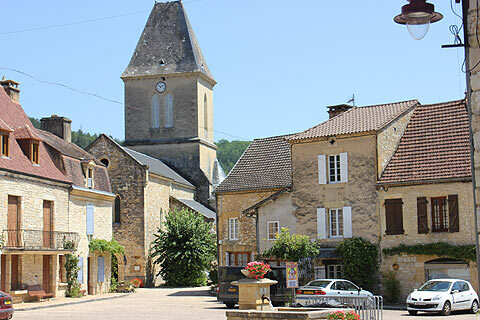 Daglan is a "village fleuri" graded one flower which means that in the summer attractive pots, hanging baskets and planting make the village even prettier. 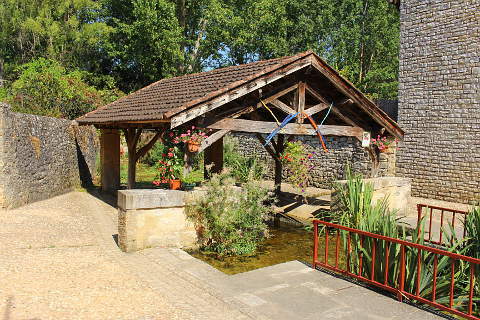 The lavoir where the villagers used to do their washing is a pretty spot with its water plants and hanging baskets. Finally - a word of warning. 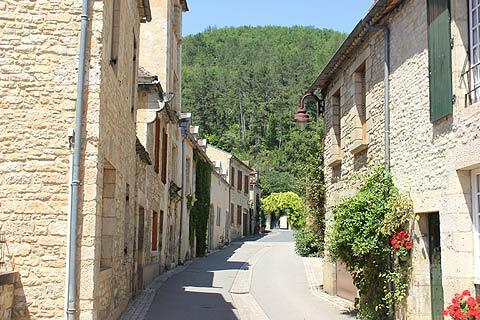 Some streets in Daglan are very narrow and so it makes life much easier if you park your car on the edge and enjoy the town on foot. It is small enough that this is not a problem. 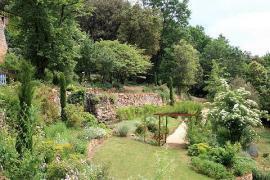 For a quiet day away from the bustle of the central Dordogne area take a trip through the Ceou valley. Be sure to visit the gourmet night market at Bouzic on Tuesday evenings during July and August. 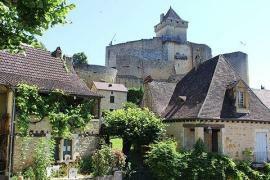 If you want to head to the busier sights of the Dordogne, Domme is nearby which is one of the" most beautiful villages of France" and the castles of Castelnaud and Milandes are also close. Both are splendid in their own way. 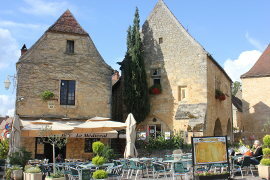 Castelnaud is a defensive castle with lots of displays of ancient weaponry whilst Milandes was once owned by Josephine Baker and her "rainbow tribe" of children and has displays of her costumes and photos.